Includes 1 Cam 2″x8′, 2 Zinc, 4 Carriage (5/16×5/8), 4 Washer, 4 Nut. 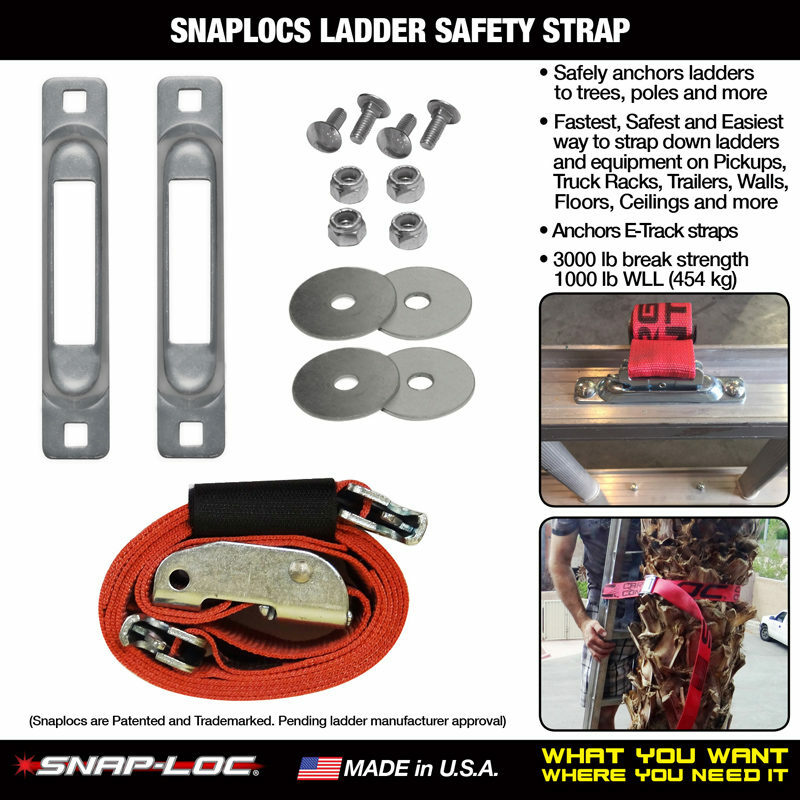 SNAPLOCS are the “Fastest, Safest and Easiest” way to secure Ladders to trees, poles and more greatly improving your safety and confidence! 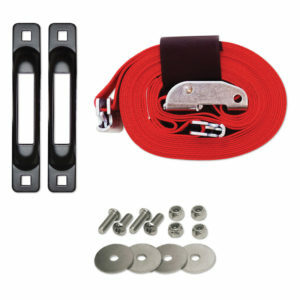 Adjustable Cam strap can also be used to secure ladders to truck racks. SNAPLOCS are the best alternative to using standard hook straps that that come loose and tangle like spaghetti. SNAPOCS are the Fastest, Safest and Easiest way to secure Ladders to trees, poles and more greatly improving your safety and confidence! 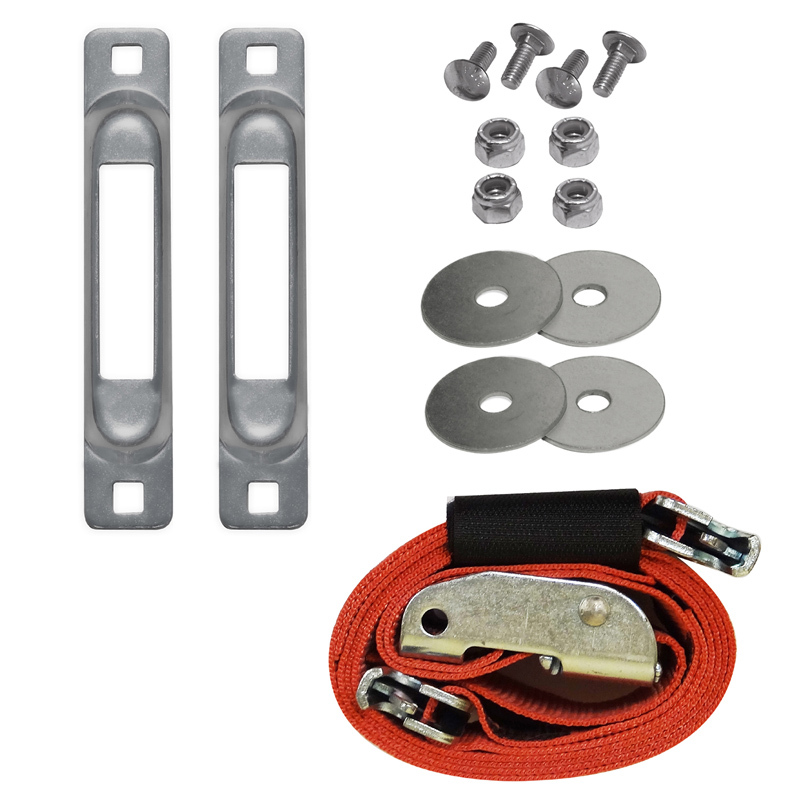 Adjustable Cam strap can also be used to secure ladders to truck racks. Quick release Cam Strap includes 9 inch lead end with 5 foot overall length and sewn on Hook & Loop fastener for easy storage. Strap has an enormous 3000 lb break strength, 1000 lb working load and is made from 2" wide heavy duty polyester webbing. Zinc SNAPLOCS fit almost everywhere (5-3/4"x1"x1/2") and have an enormous 3000 lb break strength and 1000 lb working load with a super durable zinc plated finish. 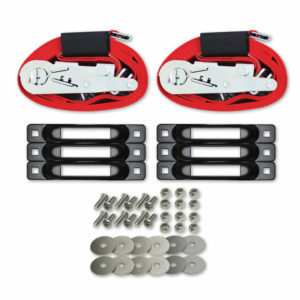 Pack includes 1 E-Strap with Cam (2"x5'), 2 SNAPLOCS, 4 Carriage Bolts (5/16-18"x5/8"), 4 Washers and 4 Nylock Nuts. 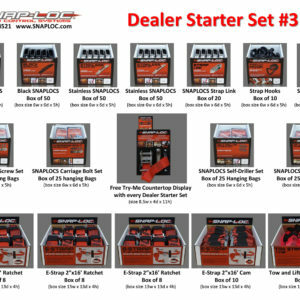 Snap-Loc also offers a variety of System Accessories, Straps and Fastener Sets for most every type of application. 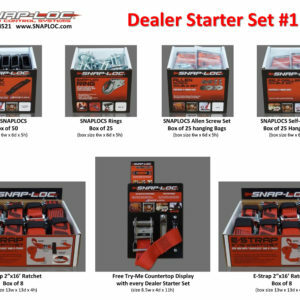 Best of all, SNAPLOCS and E-Straps are Made in USA for that Ultimate Cargo Control!